Prior to coming to Penn, Erin Bogan conducted research on early academic achievement in UC Berkeley’s Clinical Psychology lab and worked with numerous afterschool programs, non-profit organizations, and schools serving low-income children and their families in some of the Bay Area’s poorest neighborhoods, and abroad. In addition to her work in the field, Dr. Bogan attended the University of Pennsylvania where she received her master’s degree in education from the Applied Psychology and Human Development Program in the Graduate School of Education. There she studied cognitive development and social cognition. Later, she applied her training in teaching settings around the country as well as through policy research as a member of the Institute for College Access and Success in Berkeley, California. Dr. Bogan earned her Ph.D. in education and in psychology from the University of Michigan, where she also served as a consultant in the Office of Academic Multicultural Initiatives, as well as to Dream On Publishing and the National Science Foundation funded THREADS program. The University of Michigan’s Psychology Department and the Ford Foundation recognized her pre-doctoral and dissertation work that explored supportive parenting, self-regulation, and academic readiness in the context of poverty. 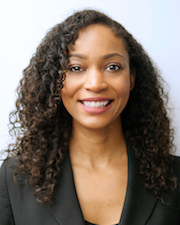 Dr. Bogan is currently a Vice Provost Postdoctoral Fellow at the University of Pennsylvania and part of the Penn Child Research Center where she continues to research family processes, self-regulation, and policies that impact children and families facing structural and socioeconomic disadvantages. Dr. Bogan’s research takes a strengths-based approach to understanding psychological and contextual predictors of children’s developmental outcomes in the context of poverty. Her research explores the cognitive mechanisms underlying the development of young children’s self-regulatory competencies, with special attention to the ways that parents and families support attentional skills, emotion-regulation, and school readiness. Dr. Bogan aims to use her interdisciplinary training to serve as a “bridge” between educators, psychologists, and policy makers to facilitate evidence-based decision making around policies that reduce social and structural inequity in early childhood. As a member of the Penn Child Research Center (PCRC), Dr. Bogan is involved in research projects aimed at understanding the needs, vulnerabilities, and strengths of low-income children and families to better support their health, educational, and wellbeing outcomes. Her current work involves collaborations with the School District of Philadelphia to provide teachers with support in using a validated measure of Kindergartener’s social and academic classroom engagement. The project involves the development of tools to help teachers communicate the meaning of engagement scores to families, and to provide guidance to families around ways to support engagement behaviors in the home context. Dr. Bogan is also working in partnership with Children’s Hospital of Philadelphia’s Early Head Start program in efforts to establish a “data culture” by helping staff maximize the use of home-based intervention data to enhance programming and improve school readiness outcomes among its participants. In collaboration with PCRC and the National Center on Father’s and Families, Dr. Bogan is also conducting a research study exploring some of the unique challenges, as well as strengths, of African American girls from preschool through third grade. Bogan, Erin D., and Slaughter-Defoe, Diana T. (2012). Through the eyes of a child: The development and consequences of racial stereotypes in Black and White children. In L. Nucci (Series Ed. ), Contributions in human development and D. T. Slaughter-Defoe (Vol. Ed. ), Race and child development (Chapter 1). Basel, Switzerland: S. Karger AG Press. Bogan, E. (2007). Minority Report: The Impact of College Environment on African American College Students’ Racial Identity. The Berkeley McNair Research Journal, 14, 1-10.